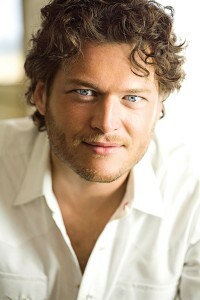 I’ll admit it: I haven’t the slightest idea who The Voice mentor Blake Shelton is. I’ve never before seen his name or heard his voice, despite him being around for a decade. Considering that my voracious taste in music runs wider than a typical Top 40 listener, I think Blake had a major handicap when it comes to team-picking on The Voice. Most contestants who aren’t country singers probably didn’t know who he was. Note that he only won over one non-country singer who had multiple choices. Blake’s strategy was to go all-in for someone that moved him from note one, or to come in as a late speculator on people other judges had already turned for. I don’t know if it was an effective strategy – combined with his low name recognition he lost on a couple of people that he would have worked well with. The resulting octet of singers is the weakest starting lineup, but Blake still has a chance. Why? As a country artist, he comes from a different background than his colleagues. I think he was acting less like a fan or a speculator, and more like an old-school A&R guy. He wants voices he can mold and improve, not sure singers who need a little tweaking. I might not have picked his team, but I won’t be surprised if he finds success with some unlikely suspects. How does Team Blake rank? Dia Frampton fronted a major label band with her sister Meg. 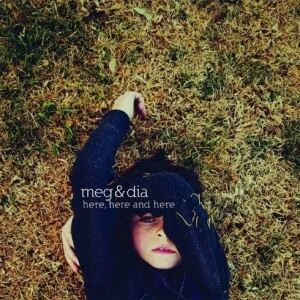 Here, Here and Here was their one album on the label. I was totally into this at the start because I liked the tone and distinct notes of his opening “hey.” Tyler didn’t really maintain that control throughout the song, so I don’t think I would have picked him. Despite my mild disappointment, his is the kind of voice a good coach can work wonders with. I think Blake knew what he was doing with this one. Just a few seconds to judge by, but in that window I liked the insane over-the-top-ness of her. This show is about a distinctive voice, and she’s got one for sure. Surely she can outsing anyone else in this group to skate through the battle round. Afterward, can she reign it in to use it effectively? I want to root for this dude, and I love this song, but his voice is just not The Voice. He’s good, but his world-weary vocals are something that just about any guy who has put in a decade of pub playing can do. That said, he’s loud and powerful, and a guitar-slinger. Blake might have big plans for him. He could be a surprise. There is no doubt her smokey voice has a beautiful, haunting quality. Yet it needs more seasoning – as exemplified by her unsure head voice. Most of her success was in the super-smart song choice. I think Cee Lo might have pushed her a little harder if she chose him, but she’d be lost in his crowd of sharks. On Blake’s team she has a shot. Well, we heard about four seconds of it. She seems like she has a very plaintive, ringing voice. Less interesting than Xenia’s, but maybe more consistent? I doubt she’ll make it through the next round. They were adorable, but clearly got through just on novelty. 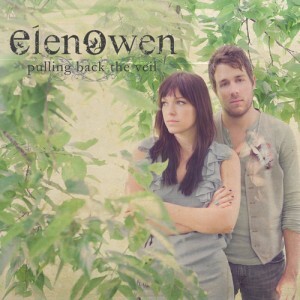 This song is a lot harder than any TV singing competition cares to admit, and Elenowen wasn’t quite up to snuff. Nicole’s wide vibrato was quavering and unreliable, and Josh’s breathy baritone wasn’t enough for the lower range of the song. Each falsetto harmony was more painful than the last. That said, if anyone can make them awesome it’s probably the tuneful ear of Blake. But I hope he doesn’t, because they’re a gimmick, and they’re not good singers. Blake’s best bet is Patrick, so he’ll want to him him safe against cannon fodder who won’t force a hard decision – probably Xenia or Sara, with Dia getting the other one so he has time to feel her out. Blake didn’t seem as thrilled with Tyler as I was, but I think he’ll come around slightly when they work one-on-one. I expect Tyler to go up against one of the maybes like Elenowen or Serabee. Alternately, Tyler and Jared could have a middle-of-the-road sparring match while Sarabee and Elenowen try to out-weird each other. Visit again on Monday for looks at Team Christina and Team Cee Lo! I like your analysis. What did you think of Blake choosing Patrick over Tyler? I thought he was being narrow minded and biased. That was definitely the closest match tonight. I think there’s a case to be made for why Patrick deserved the spot, but I still think Tyler was robbed.